life. Previously she had been hidden near Islamabad. 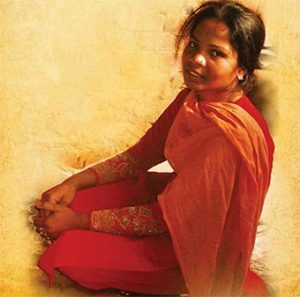 Aman Ullah, who has been acting as a liaison between Asia Bibi and European government officials, says that she is locked in one room of a house. Her husband is said to be with her and she is allowed to use a phone in the morning and at night. Another source has stated that Asia is “very unwell” and is being denied medical care for low blood pressure. The source expressed frustration that she being kept by the Pakistani army from following her children to Canada, where Prime Minister Justin Trudeau has offered asylum. Asia was accused of blasphemy, and then arrested and sentenced to death, after a religious altercation in 2009 with two Muslim women about drinking the same water.